based on our experience in Spain since 1998. 6 days in southern Spain: Seville, Granada, Ronda & Medieval Villages. For your group of 6 to 12 persons or….. Private Trips depart daily. 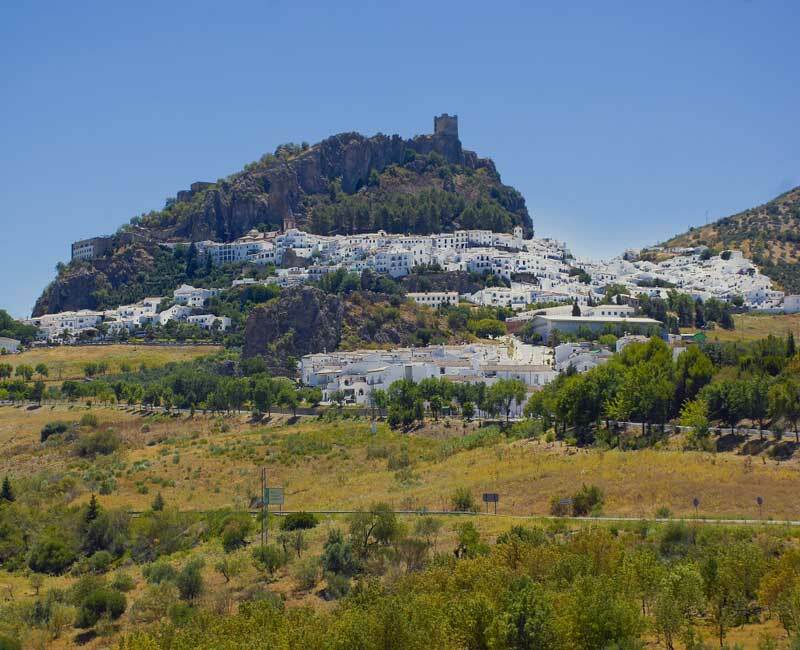 Your Andalucia Spain 2019 private small group luxury tour itinerary awaits. You begin in beautiful Seville, where Games of Thrones has been filming. The capital of Andalucia in southern Spain offers festive fun, tapas cuisine, Moorish style, the awe-inspiring Giralda Tower, King Fernando’s Fortress, flamenco guitar & dance, medieval history in the made-for-movie-set old town + the world’s largest gothic Cathedral + the beauty of the old Jewish Quarter and our local amigos. Enjoy insight-filled cultural walking tours with our fun expert guide + a flamenco guitar & dance show. Discover the mysteries of Christopher Columbus or the dark history of the Spanish Inquisition. White medieval hilltowns, los Pueblos Blancos: a land of rolling hills, olive groves + Hemingway’s favorite place in Andalucia. Discover flowerpot-lined-lanes and a slower pace of ancestral life in Ronda. Enjoy guided old town exploration including 14th-century Moorish baths + an optional fun country walk to an enigmatic religious shrine or see the world ́s oldest bullring. 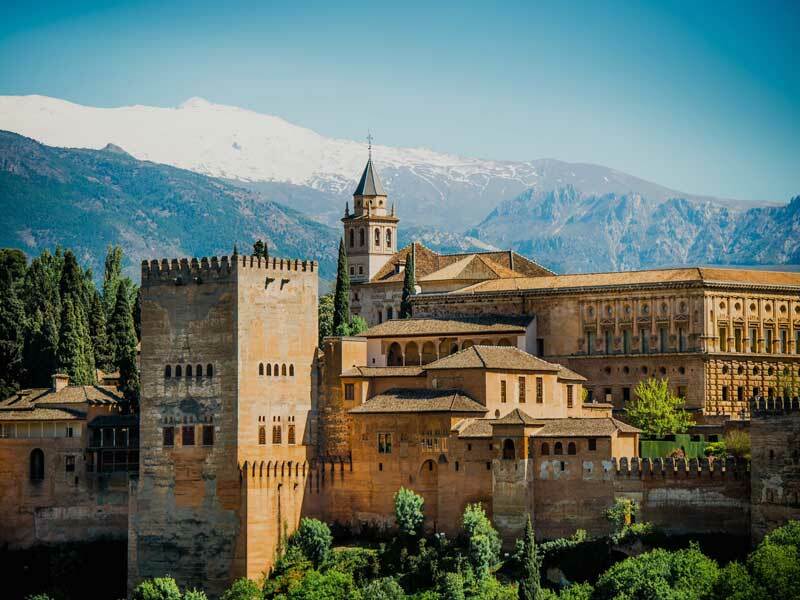 Journey through massive olive groves, to the last Moorish capital, Granada. Along with a private VIP tour of the renowned Alhambra Palace, Europe’s 2nd most visited monument. We explore the maze-like lanes of El Albayzín (reminiscent of Morroco’s souks) and enjoy a tapas tasting and perhaps an exotic meal in a Moorish style restaurant or meal with a view of Granada. Andalucia Spain private small group luxury tour itinerary. to Los Pueblos Blancos. Enjoy the top Ronda hotel for 2 nights. optional airport or train transfers to Madrid, Barcelona or Malaga. This concludes our 2019 Andalucia Spain private small group luxury tour itinerary! Extensions to our 2019 Andalucia Spain private small group luxury tour itinerary are possible IF we have availability. Contact Us for “Secrets of Andalucia” availability or private tour departures. so you experience more Spain with the USA’sthe USAs Spain Travel Experts. Enjoy the peace of mind of 24 / 7 customer care + your choice of exclusive Magical Spain experiences. Private Spain Trip Collection – 007 Mediterranean VIP Adventure, Madrid Lisbon & Rome, Northern Spain Food & Wine, Active Andalucia, Lisbon to Seville, Introduction to Spain, Introduction to Portugal, Barcelona & Beyond, Madrid & Medieval Spain, Camino de Santiago, Luxury Jewish Spain, Iberian Extravaganza, Private Guide Report, Spain Travel Consultation Service, The Back Story – The Secret of Magical Spain, Spain Travel Testimonials, The Team, Get Social, FAQ, Press Kit, Spain Services. Contact. 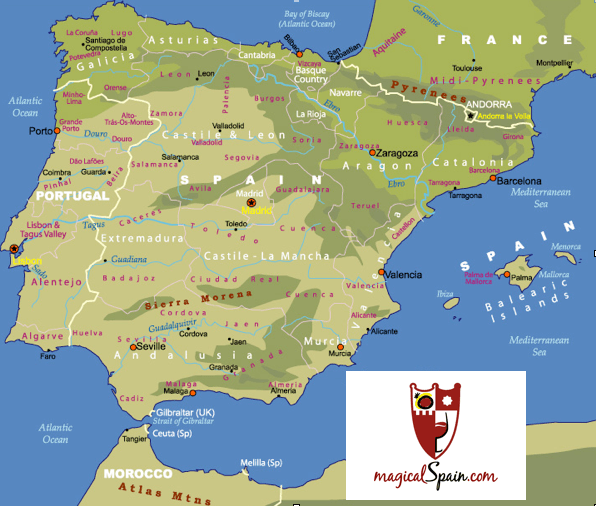 More great small group Spain travel information about itinerary, guides, private tours and private historical walking tours and half day trips.